Think back to every winter throughout your lifetime. How many times have you been told (or told someone yourself) to bundle up before going outside to avoid getting sick? The holiday season seems to bring an unshakable feeling of being “under the weather,” but you actually can’t catch a cold simply from being cold! 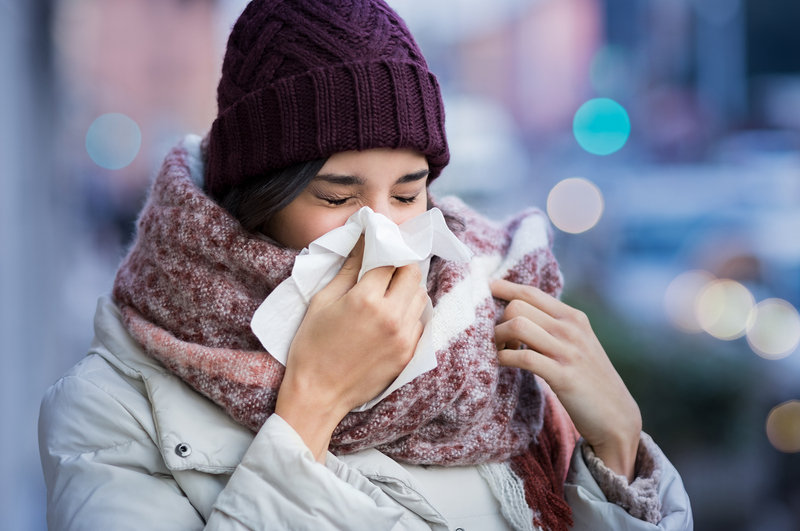 There are a number of reasons you might feel sneezy, tired and weak during the winter months, but understanding the lifestyle and environmental factors your immune system is up against this time of year will assist you in staying healthy for the holidays. Christmas cheer might be making spirits bright this time of year, but there’s no denying winter days are certainly much darker compared to sunny summer skies. Think about your daily commute to work: the sky is nearly (if not completely) dark when you leave your house in the morning, and dusk seems to start creeping in as early as 4:00 in the afternoon. Shorter days means less sunlight. This translates to your body absorbing less vitamin D than it would with the extra few hours of sunshine the summer months provide. Vitamin D absorption directly impacts bone health, cell growth, mood and immune function, and depriving your body of the vitamin D dosage it needs could make you feel depressed or lethargic throughout the winter months. Solution: Break out the hats, coats and moisture wicking clothing and spend an hour per day outside soaking in some much needed vitamin D. The chilly air might be your cue to stay indoors until the spring, but staying healthy for the holidays starts with providing your body with the vitamins needed to repair and protect. Take advantage of outdoor winter activities like skiing, sledding and hiking when your schedule permits, or increase your intake of vitamin D rich foods and natural supplements as an alternative. If the cold air isn’t forcing you to spend more time indoors this winter, the hustle and bustle of the holiday season almost certainly is! Between braving the crowds at mobbed shopping malls and cramming onto packed public transportation, you are far more susceptible to catching a cold or the flu. This is because viruses thrive in the “breathing zone” radius of three to six feet, a space that is difficult to avoid in many instances during the congested holiday rush. On top of this, the colder and drier the atmosphere, the longer viruses are suspended in the air. Solution: Protect your nose and mouth from the inside out. Spending time in crowds is often unavoidable this time of year. If you know you will be in a congested area, consider covering your nose and mouth with a scarf for an added barrier of protection. 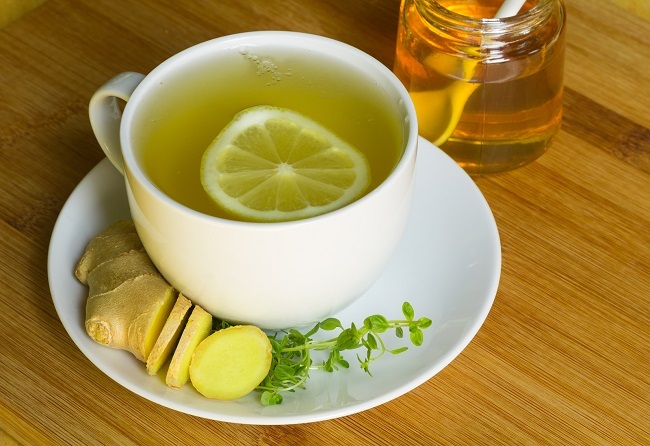 In addition, a cup of tea with lemon and honey could be your secret weapon to staying healthy for the holidays. Breathing in the steam from the tea will stimulate cilia (hair follicles) in the nose and cleanse them of lurking germs, while antibacterial honey and mucus thinning citrus will help to clear out any blocked passages from within. Not only will a cup of tea keep you warm and cozy this winter, it will also help to keep you healthy and your air passages cleared. Sneezing and coughing is common for anyone at any age during the winter, but after a certain age these minor health hiccups could actually be warning signs for something much more sinister. Cold weather can wreak havoc on those over 55, triggering higher blood pressure, impaired lung function, and mobility issues for those with joint problems. In addition, our immune systems become weaker with age. Without a strong defense against airborne viruses thriving in the dry cold air, those over 55 are at an increased risk of falling ill during the winter. Solution: Be proactive, especially if you already have preexisting medical conditions. The increased number of germs and viruses in the air during the holiday season makes it especially crucial for those over 55 with a history of arthritis, heart disease, asthma and COPD to maintain regular contact with your doctor in case of illness or injury. Stay on top of your health all winter long by working out regularly, nourishing your body with nutrient rich foods, and taking natural vitamins and supplements if recommended by your healthcare professional. There’s no denying the holiday season brings an added level of stress. Between rushed shopping excursions, entertaining guests, wintery weather concerns, and changes to your routine, feeling overworked can take a toll on your Christmas cheer. Prolonged periods of stress throughout the season, however, can cause your overall health to take a significant hit. Stress is often times the culprit behind debilitating headaches, GI tract irritation, and a weakened immune system, which makes it harder for your body to fight off viruses such as colds and the flu. Solution: Relax, unwind and rest up. The time you spend sleeping is the time your body spends repairing itself and fighting off any looming illnesses lurking from within. Stress and anxiety can keep your body from receiving the restful sleep it needs, so it is important to dedicate some time before bed solely for relaxation. Read a book, listen to calming music or break out the essential oils to help your mind unwind before calling it a night. With the millions of viruses, bacteria and other illness-causing germs thriving in the cold winter air, getting sick during the holiday season almost feels like a foregone conclusion. However, staying healthy for the holidays is as simple as providing your body with a little extra self care. Nobody wants to ring in the new year in bed with a box of tissues, so take preventative measures, stay in tune with your body and discuss your health concerns with a functional medicine doctor to keep your health in peak condition throughout the holiday season.